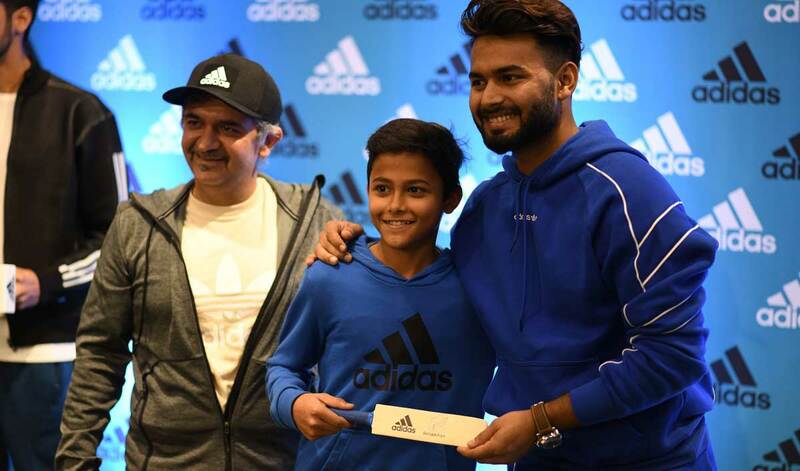 adidas has announced the launch of its first own retail store at Ambience Mall in Gurgaon in the presence of Indian cricketer and adidas athlete, Rishabh Pant. Located at Ambience Mall, the store brings the passion for sports, design and innovation to a brand new level by creating a unique and interactive experience for the consumers. adidas through its new sprawling retail store aims to offer its consumers an enhanced shopping experience with an evolved version of footwear display that increases the offered range on the floor to more than double. Spread over 3954 sq ft, the store at Ambience mall is the biggest retail space of the brand in the National Capital Region. Rishabh said, "adidas has always been at the forefront of inspiring creators and I am thrilled to be associated with the adidas family. Seeing their constant initiatives to bring an immersive experience for the consumers to India is remarkable and I am delighted to be able to join the celebrations today. The brand is always true to ‘Creating the New’ initiative whether it is for all of us on the field or for the loyal consumers who can look now forward to a great new experience of shopping for the adidas range at the new store." Manish Sapra, Senior Retail Director, adidas India, added, "Consumers and athletes’ needs are paramount at adidas; we constantly strive to focus on creating unique experiences for our consumers in India. We are glad to have Rishabh join us today at the launch of Gurugram’s first ‘HomeCourt’ format store, which celebrates adidas’ proud sports heritage, and provides consumers with a unique and interactive experience. Now that HomeCourt has arrived here in Gurugram, we’re very excited to take consumer experiences to an entirely new level and let more consumers enjoy the extraordinary shopping experience that it promises."